After China announced that it was cutting its subsidies for solar energy in June, much of the Street thought that it was “game over” for solar companies and solar stocks. But comments by several major solar companies during their recent earnings conference calls, along with recent major developments, show that solar energy stocks will have powerful, positive catalysts in the short term, as well as in the medium and long term. Among these upcoming catalysts are the fact that solar energy is becoming as cheap as fossil fuels in many markets without subsidies (a condition called “grid parity”) and the advent of cheaper electricity storage systems that make solar energy much more attractive. Moreover, China is likely to increase its long-term solar energy target and reportedly clarified that it remains enthused about solar energy. Meanwhile, California is requiring most new homes built in 2020 or later to incorporate solar energy systems. Finally, Saudi Arabia, along with many developing countries, are making large investments in solar energy, and cheaper batteries are making solar power and solar stocks much more attractive. The market has realized the future of major solar energy companies may not be so bleak, and investors have bid solar energy stocks meaningfully higher in recent weeks, despite the market weakness. Here are four solar stocks poised for profit. JinkoSolar (NYSE:JKS) stock has rallied 35% since mid-November. The top-rated solar module maker in terms of both amount of modules shipped and technology, China-based JinkoSolar is well-positioned to benefit from many positive trends in the solar sector. Moreover, JinkoSolar noted that solar installations in China through the first three quarters of the year had come in at 35 gigawatts, meaningfully exceeding the expectations of most analysts. More importantly, according to JKS, the Chinese government has indicated that it will probably target installations of 55-60 gigawatts in 2019, representing a huge jump over 2018 levels, and Beijing has reaffirmed its continued commitment to solar energy.Of course, as a leading Chinese solar energy company, JKS is well positioned to exploit these positive trends in China. JKS stock is also poised to benefit from positive trends in developing countries and the U.S. In India, one of the world’s fastest growing solar energy markets, JKS expects to increase its market share, and the company said that it was benefiting from grid parity in Latin America and Europe, as well as the rapid growth of solar energy in Australia and Vietnam. In the U.S., JKS and JKS stock should be boosted from JKS’ deal with large utility NextEra (NYSE:NEE), which is very enthusiastic about expanding its use of solar energy in the wake of improvements in electricity storage technologies. In order to sell modules to NextEra without paying U.S. tariffs, JinkoSolar has built a factory in Florida. JKS expects to start shipping modules to NextEra early next year. Given the deal with NextEra, and the U.S. tariffs on solar energy that effectively raise the prices of solar modules, the NextEra deal could significantly increase JKS’ margins next year, meaningfully boosting JKS stock. SunPower (NASDAQ:SPWR) has climbed 8% since mid-November. SunPower is a leader in distributed generation (DG) solar, which refers to solar panels that are installed on the rooftops of homes and commercial buildings. The company recently decided to focus on DG. SPWR believes that its more efficient, more expensive solar modules add more value to DG projects than utility-scale projects. The company has also noted that DG products have been growing much more quickly than utility-scale projects globally. In the U.S. in general and California in particular, SPWR says that it’s the market-share leader in DG. In 2019, SunPower expects its U.S. DG business to increase more than 20%. Last quarter, in California, where SunPower partners with 16 of the top 20 homebuilders, SunPower’s solar installations jumped 40% in terms of megawatts. Additionally, California-based solar installation company Solaron says that SunPower has the most efficient solar panels. SPWR stock should definitely benefit tremendously from the California solar mandate for homebuilders in 2019 and in 2020. Next year, SunPower stock should also get a tremendous lift from the company’s newly won exemption from U.S. solar tariffs. As with JKS, SPWR’s margins should increase because it will be able to charge relatively high prices for its panels in the U.S. but will not have to pay tariffs. Furthermore, SunPower and SPWR stock will benefit from the fact that the company often provides battery storage systems along with its solar panels. As the cost of batteries drops quickly, demand for them is rising rapidly. 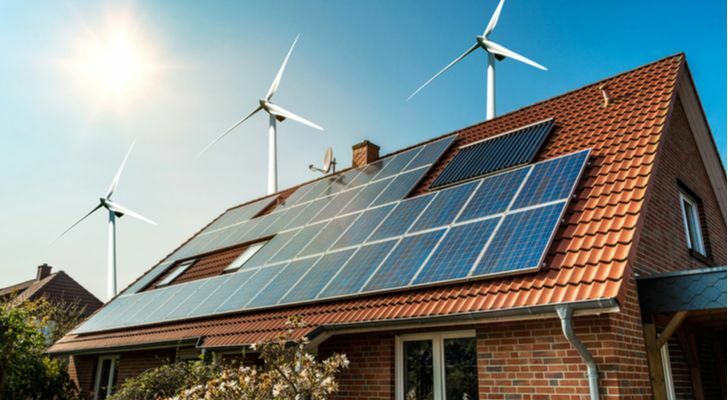 According to research firm Wood McKenzie, demand for residential energy storage in the U.S. jumped 60% in the second quarter and is expected to surge nearly 1000% between 2017 and 2023. Daqo New Energy (NYSE:DQ) has surged nearly 20% in the past few weeks. Like JinkoSolar, China-based Daqo, which develops and sells polysilicon used to make solar modules, will benefit from the likely coming increase of China’s solar target and the proliferation of grid parity in the country. Moreover, during its Q3 earnings conference call, DQ reported that Beijing recently said that it expects to continue subsidizing solar energy through 2022, when grid parity is achieved in the whole country. According to DQ, the government added that it expects non-fossil fuels to generate 15% of the country’s total energy in 2020 and 20% in 2030. 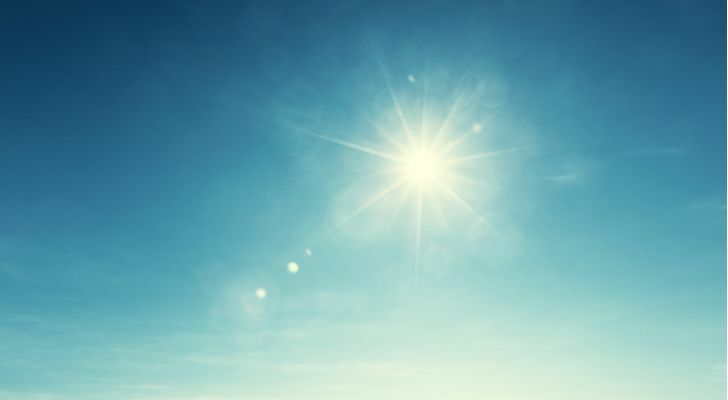 As one of the leading polysilicon producers, DQ’s results and DQ stock should benefit from all of the trends discussed above as well as rapidly increasing deployment of solar energy in developing countries. Daqo also expects to benefit from declining polysilicon production costs going forward, brought about by lower electricity costs, “higher manufacturing efficiency, greater economies of scale and enhanced equipment and processes” at its new factory. The company also expects to benefit from lower polysilicon supply as higher-cost producers go out of business. Despite all of these upcoming catalysts, DQ stock is trading at a forward price-earnings ratio of just 5.86 and a trailing price-sales ratio of less than one. In recent weeks, First Solar (NASDAQ:FSLR) stock is up about 5%. 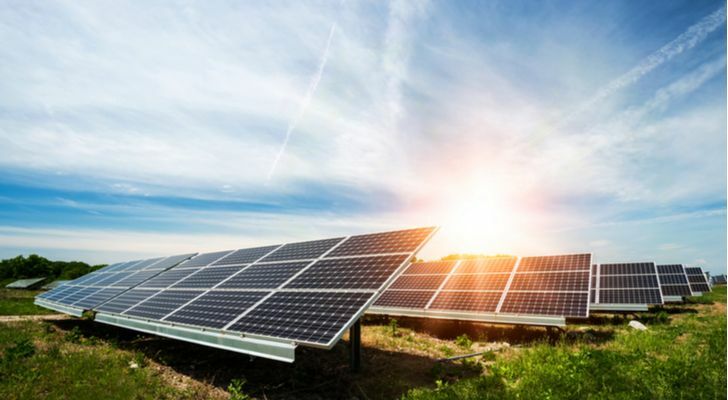 As a company which builds and sells solar plants and a provider of solar modules to utilities, First Solar and FSLR stock are poised to benefit from several positive trends. As I noted in a past column, Bloomberg quoted NextEra CEO James Robo last June as saying that new battery technology would make solar energy cheaper than other forms of energy for utilities “within a few years.” By pairing solar modules with batteries, utilities will be able to provide power 24 hours a day, seven days a week with solar energy, the CEO added. According to Robo, cheaper batteries will become “disruptive” for utilities. Of course, FSLR will benefit tremendously as utilities buy more and more of its modules and plants. On its Q3 earnings conference call, FSLR provided evidence that this trend is already taking hold. Forecasting that utilities outside of California will acquire more than 15 gigawatts of solar energy, FSLR noted that utility American Electric Power (NYSE: AEP) announced that it plans to add three gigawatts of solar power, while a Michigan utility is looking to add five gigawatts of solar. FSLR also noted that it will be able to take advantage of grid parity in many places, including India. And of course, First Solar should benefit as more utilities look to utilize combined solar and battery storage systems. Over the longer term, I believe that FSLR and FSLR stock will also be boosted by the tremendous growth of the electric car market. When frequently driven, electric cars use a great deal of electricity. The increased popularity of electric cars should make electricity more expensive, greatly increasing demand and prices for the solar power plants that First Solar builds. Finally, FSLR and First Solar stock should be boosted by California’s mandate and the fact that the company is exempt from U.S. tariffs. As of this writing, the author owned JKS stock, DQ stock, and SPWR stock. 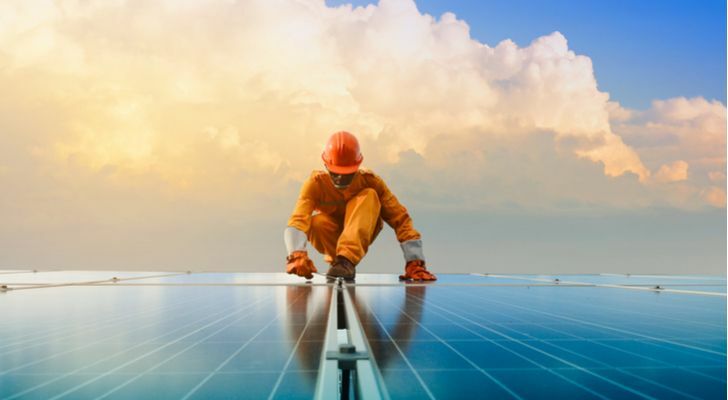 Article printed from InvestorPlace Media, https://investorplace.com/2018/12/4-solar-stocks-poised-to-surge-in-2019/.